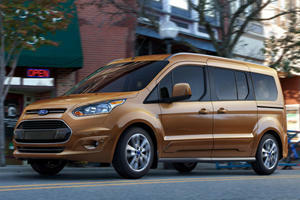 Two wheelbases ensure up to 128.6 cubic feet worth of cargo space and a 2 000 pound towing capacity in the Ford Transit Connect Cargo. Power is derived from a 2.5-liter inline four cylinder developing 169 horsepower and 171 lb-ft. Power is sent to the front wheels via a 6-speed automatic gearbox. In top XLT trim, the Transit Connect Cargo features cloth upholstery, driver lumbar adjustment, a CD radio, and a passenger vanity mirror. 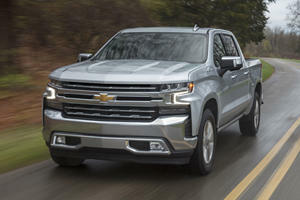 Safety features include antilock brakes, stability control, and hill start assist. The jack of all trades nature of the Transit translates into a ride and handling combination that doesn’t quite do it justice. When configured as a people carrier its rough ride quality and jittery highway composure see it fall short of the minivans it is attempting to emulate. 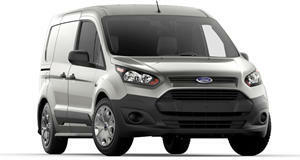 As a cargo van, the ride and handling is more acceptable although the cavernous rear does make for a noisier cabin. It’s light weight and well-weighed controls make it a pleasure to drive and it is also more maneuverable than most cargo vans and it is in this role that it feels the most competent.